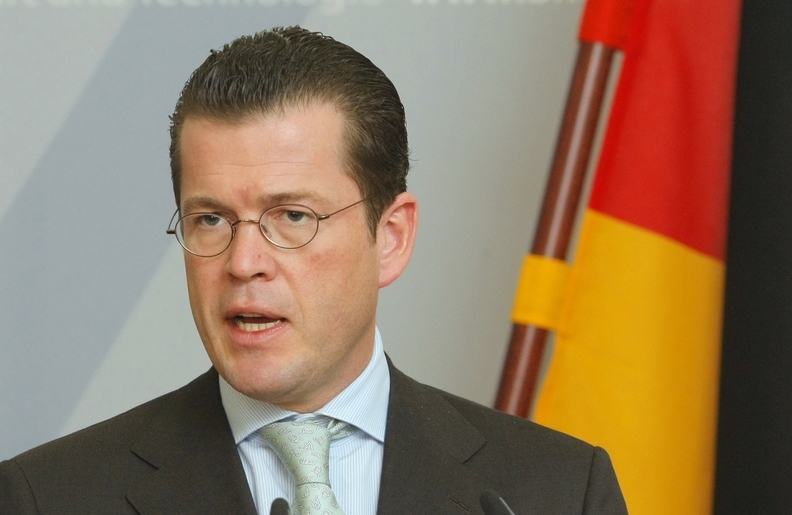 Germany's Guttenberg says GM cannot afford Opel. MUNICH -- German Economy Minister Karl-Theodor zu Guttenberg said it was "hardly realistic" for General Motors Co. to hold onto its Opel unit. GM's board had been widely expected to choose on August 21 between selling an Opel stake to a consortium led by Magna International Inc., or RHJ International, a Belgian holding company with investments focused in the autos sector and Japan. The board did not make a decision and instead GM is considering an alternative to hold on to Opel and British sister brand Vauxhall. The board is not expected to convene until September 8 and 9 when Opel will be discussed again. Guttenberg told the Frankfurter Allgemeine Zeitung that GM had put forward the possibility of keeping Opel last March when GM and Germany were discussing how to protect the German unit from GMs bankruptcy filing. He said the high costs of restructuring Opel meant that GM cannot afford to keep the unit. In March, GM reckoned it needed 3 billion euros ($4.3 billion) to restructure Opel and the cost likely had risen in the meantime, Guttenberg said. Opel has been surviving on a six-month 1.5 billion euro bridge loan from the German government that matures at the end of November, when a new investor had been expected to take control. GM's European operations posted a $2.8 billion loss in 2008, but Opel represents the heart of GM's small and mid-size car engineering and provides the technology behind key cars such as the Chevrolet Malibu and the upcoming Chevrolet Cruze. GM had reached a preliminary agreement to sell Opel to Magna in May, but began to reconsider the plan after completing a fast-track bankruptcy in the United States in July. Some GM board members appear to favor the RHJ bid and others seem keen for GM to keep Opel. Concern that Magna's Russian partners could get access to GM patents is one of the factors that has made the board reluctant to back the Canadian supplier's bid. Germany says it is backing the Magna bid because it offers the best long-term perspective for Opel and its 25,000 German-based workers.